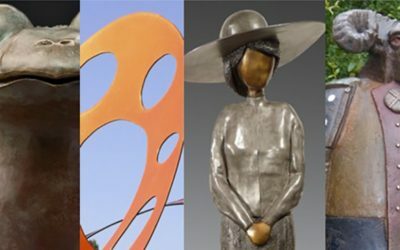 ARTSites are locations throughout northern El Paso County which display works of art that are visible to the public. In some cases, these are existing locations and in some cases, they are newly established locations for art. These ARTSites are located on a map published annually by Tri-Lakes Views (TLV), who prints and distributes 1000 of these maps to restaurants, galleries, libraries and hotels/motels throughout the Tri-Lakes area. The intent is to have the arts be a connecting point to unite the disparate geographic regions of northern El Paso County as a community.